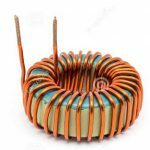 The iron core inductors used in filter circuit and AF application. 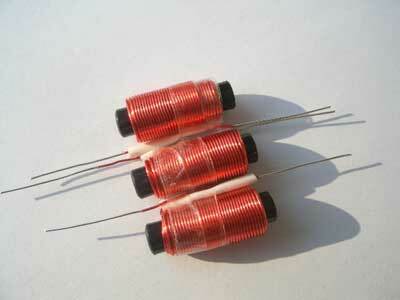 Ferrite core inductors used at high and medium frequencies and also as ferrite rod antenna for MW band receivers. The iron core inductor is requires laminated iron core to reduce eddy current losses. It does not require laminated ferrite core to reduce eddy current losses. It has large eddy current losses. It has lower eddy current losses. 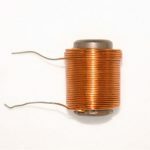 Iron core inductor has low Q factor. Ferrite core inductor has higher Q factor. Iron core inductors large in size. Ferrite core inductors smaller in size. It has low operating frequency. It has higher operating frequency. 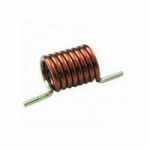 Iron core inductor has lower inductance value. 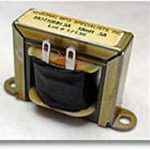 Ferrite core inductor has higher inductance value.